Town & Country Furniture. Kenilworth. U.K.
Furniture made to measure in a variety of solid woods. Numerous styles and designs. 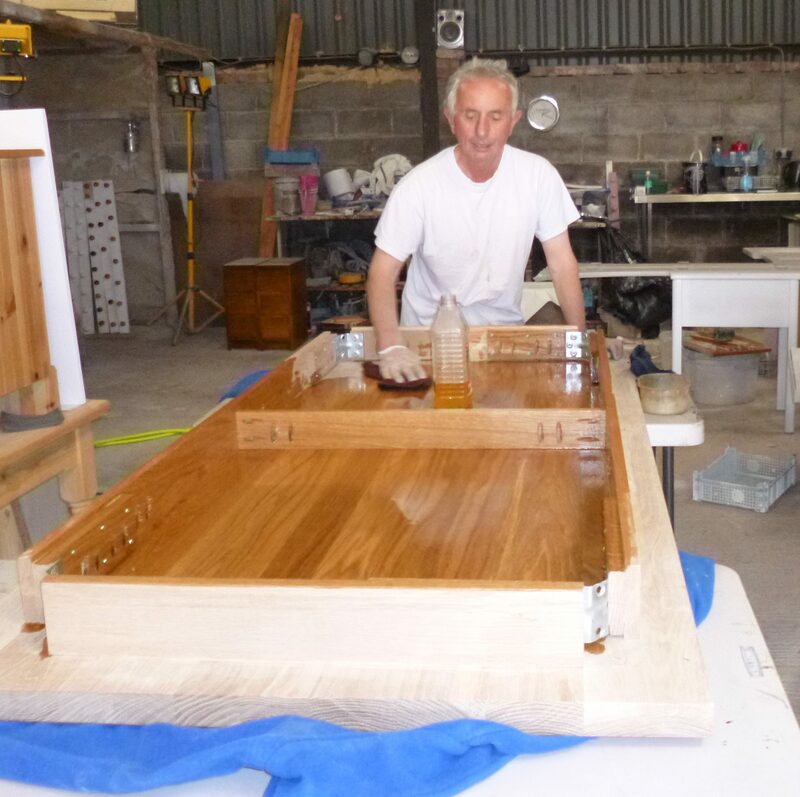 We can stain wood to any colour or paint to any colour in the known universe in our work shop spray booth. Odd sizes and matched sets of furniture. Town & Country Furniture.Kenilworth. Made to measure furniture. 11/11/2013 15/04/2019 Andrew Jones - Town & Country Furniture. Kenilworth. Mofay 15 April. In and out of the workshops. Please call/text the mobile 07595 799759 anytime, or the land line on 01926 853001 in normal sort of working hours. Very happy to chat and give information. Andy and Richard. Sample stained and clear lacquered slabs. Pines. Redwood and Quebec Yellow. Please contact us for information on designs, styles and costs in various woods. We can colour match to your existing furniture – finish to any shade – paint any colour. Previously at Far Gosford street, Coventry . Clock tower, Kenilworth. In view of its rural location, drop in visitors to our workshops and showroom are not always practical as we are not always there. Please always phone first . We are able to meet up almost any time and any day. Happy to do home visits and give free estimates.